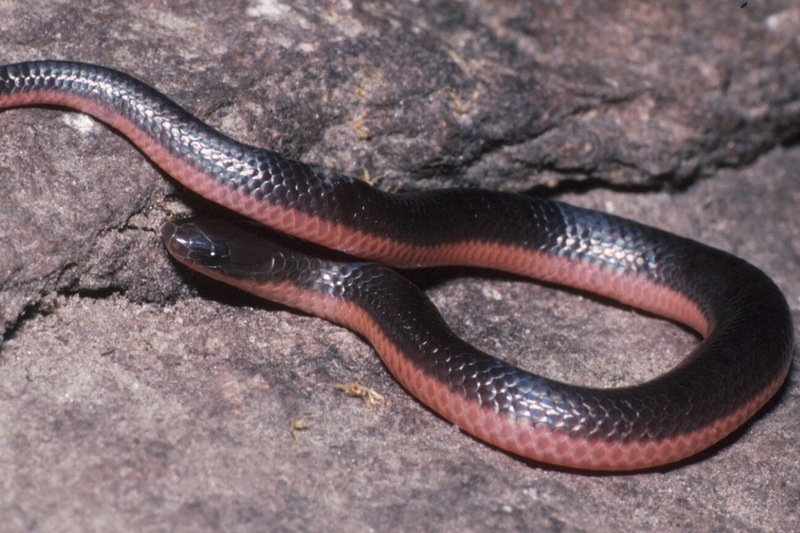 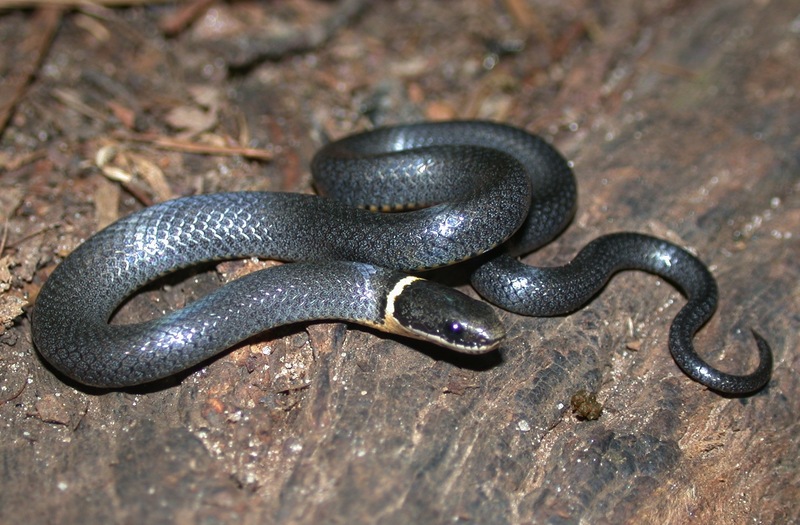 Snakes (Order Squamata: suborder Serpentes) lack external ear openings, moveable eyelids, and legs. 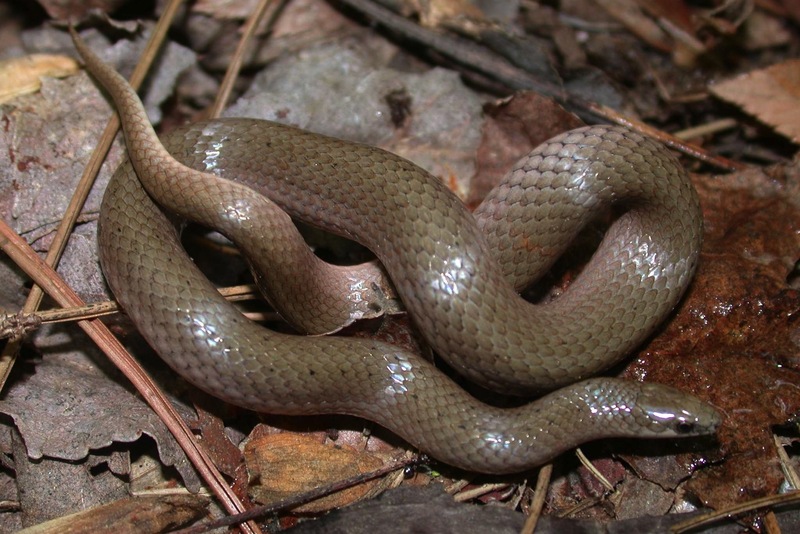 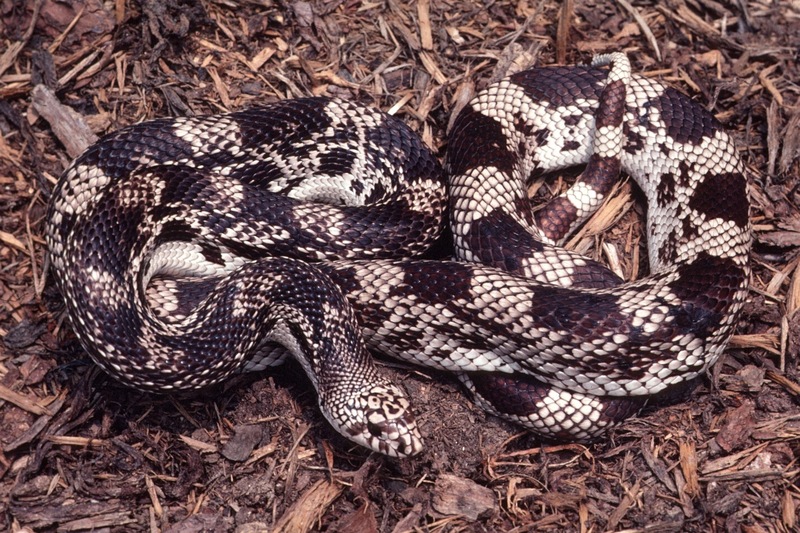 The snakes of North Carolina can be separated into three different families: the Colubridae, Elapidae, and Viperidae. 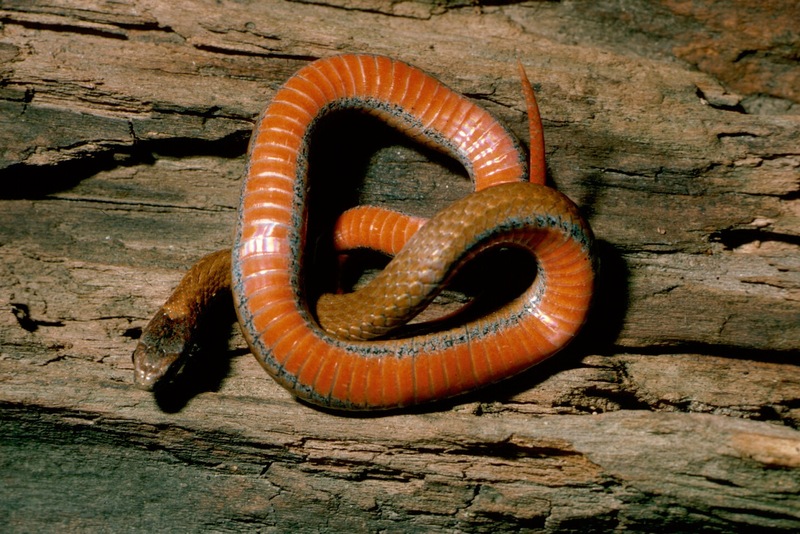 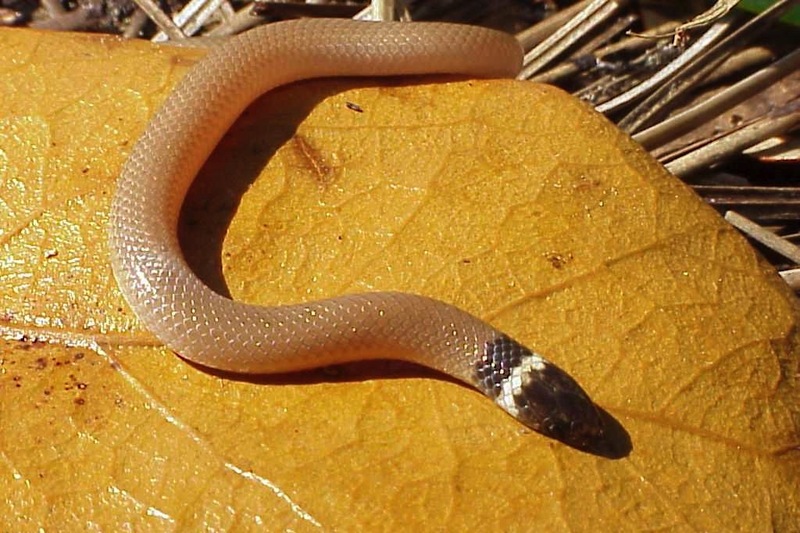 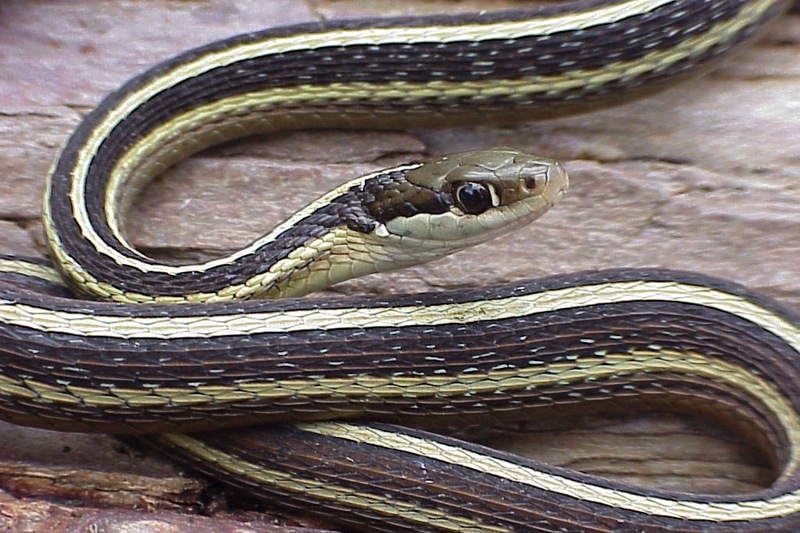 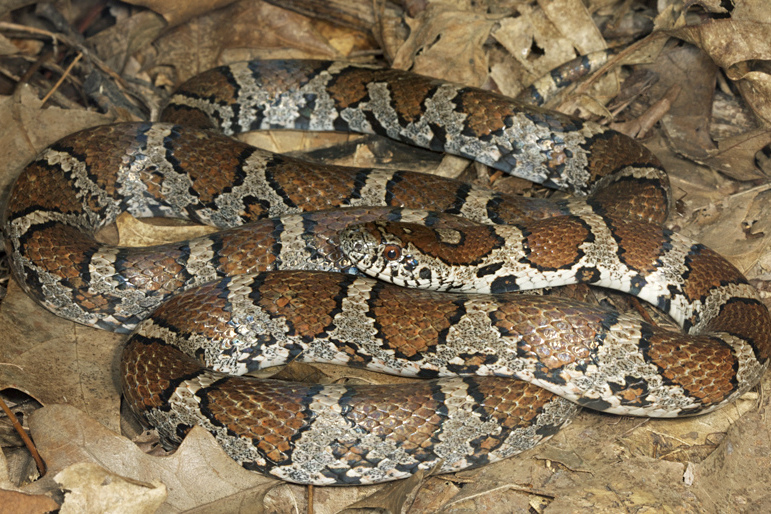 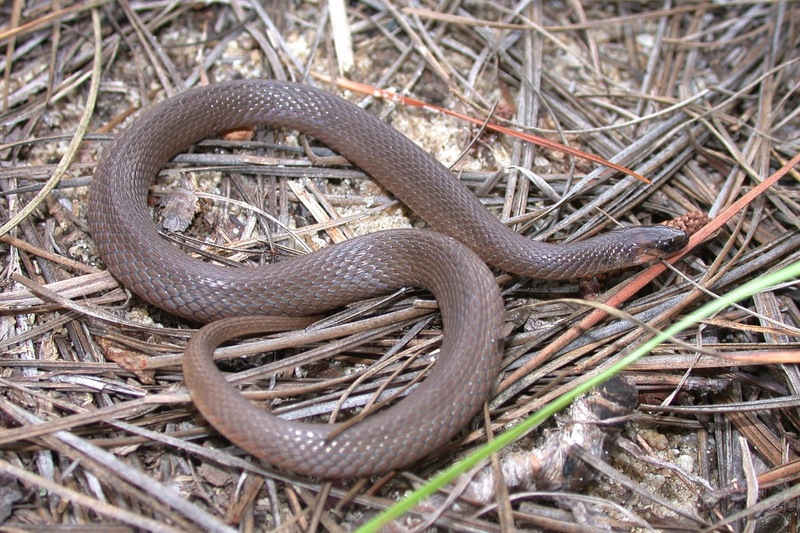 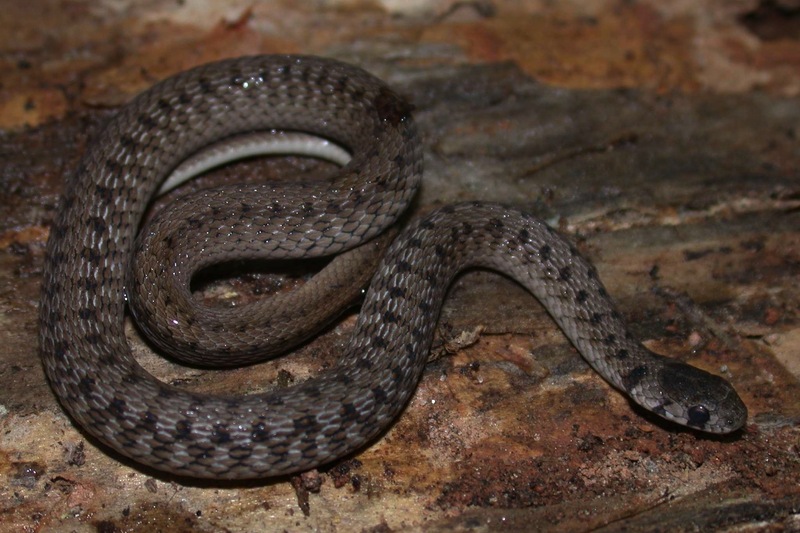 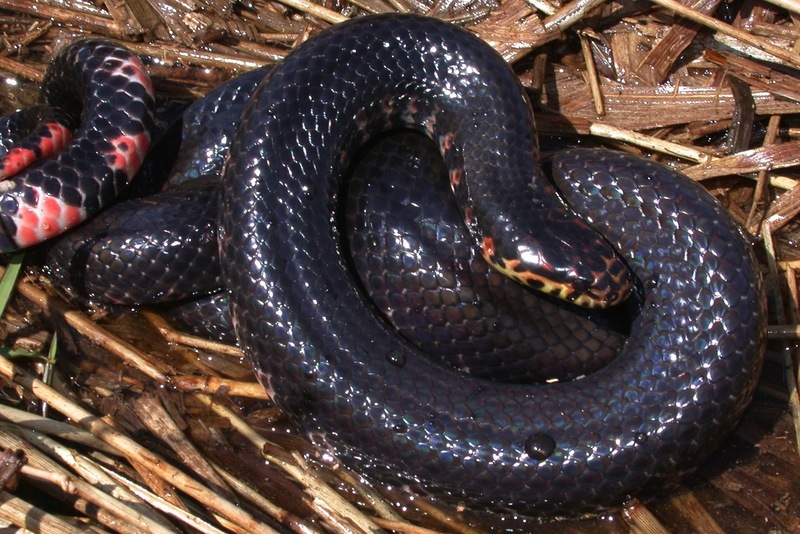 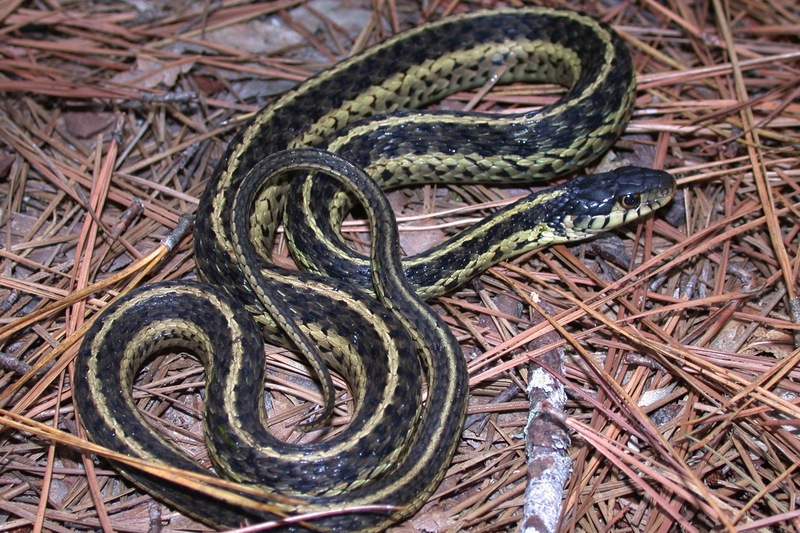 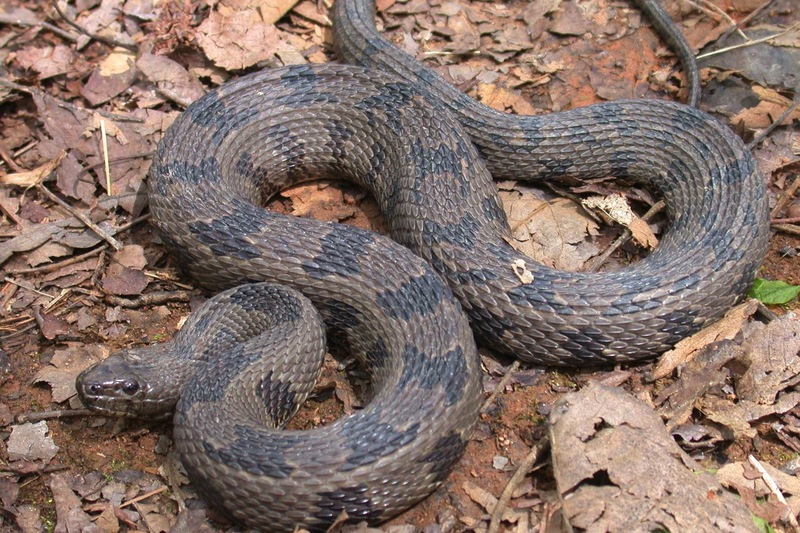 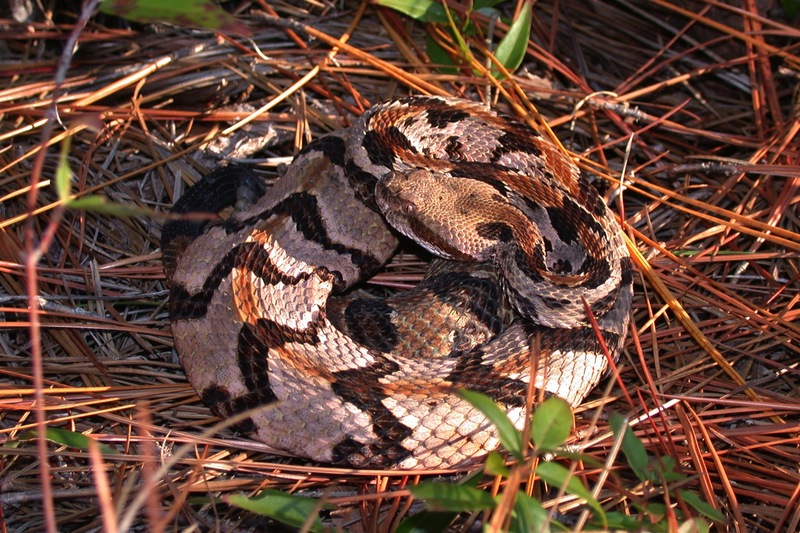 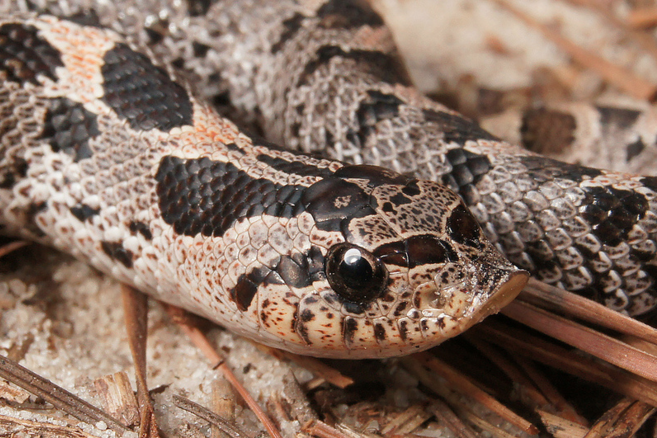 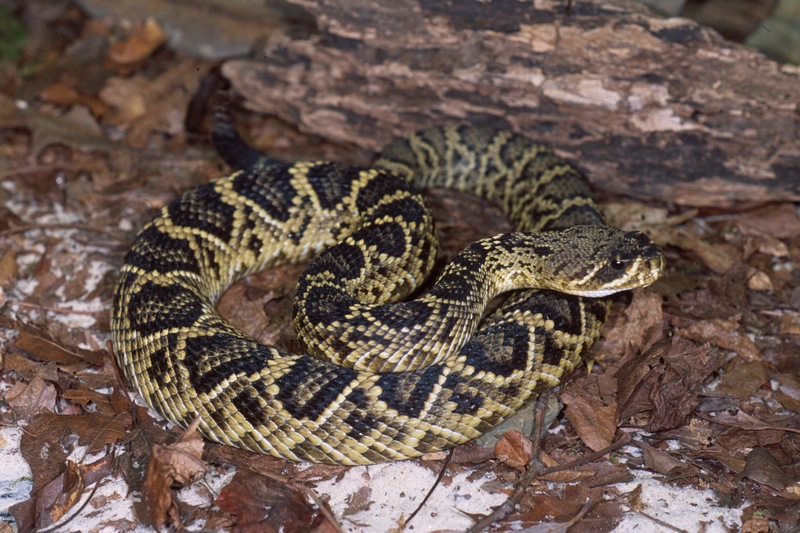 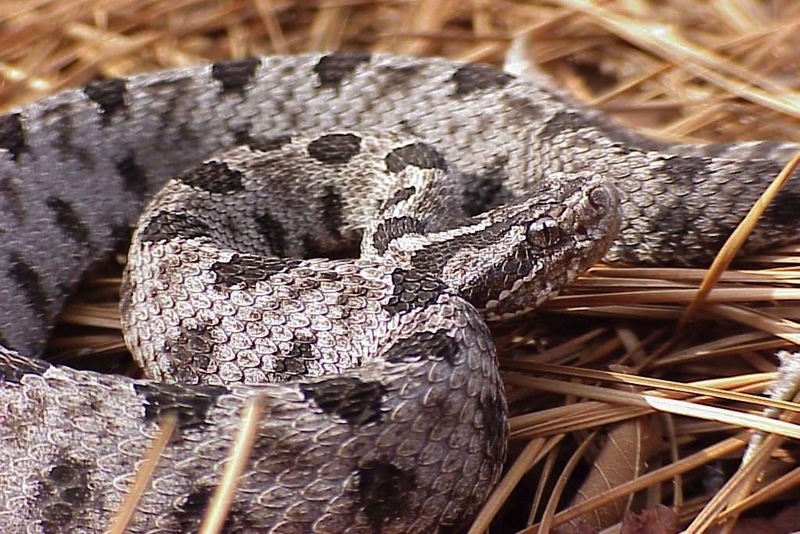 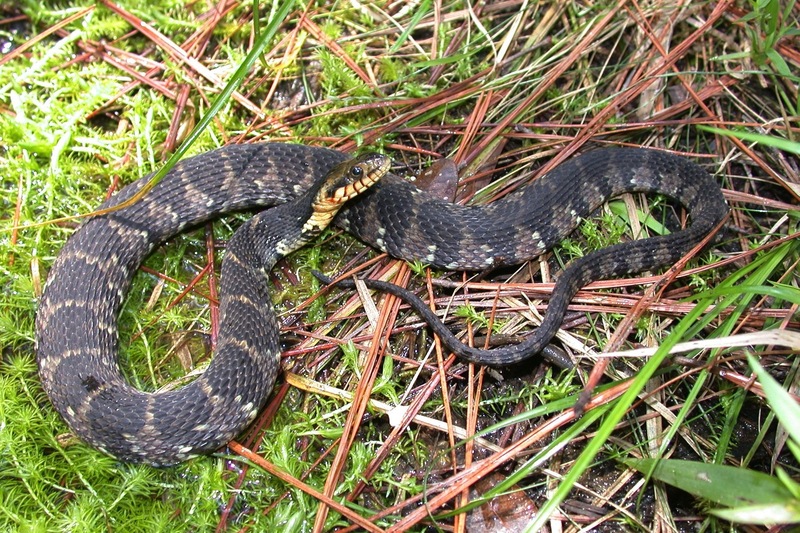 Most North Carolina snakes are colubrids. 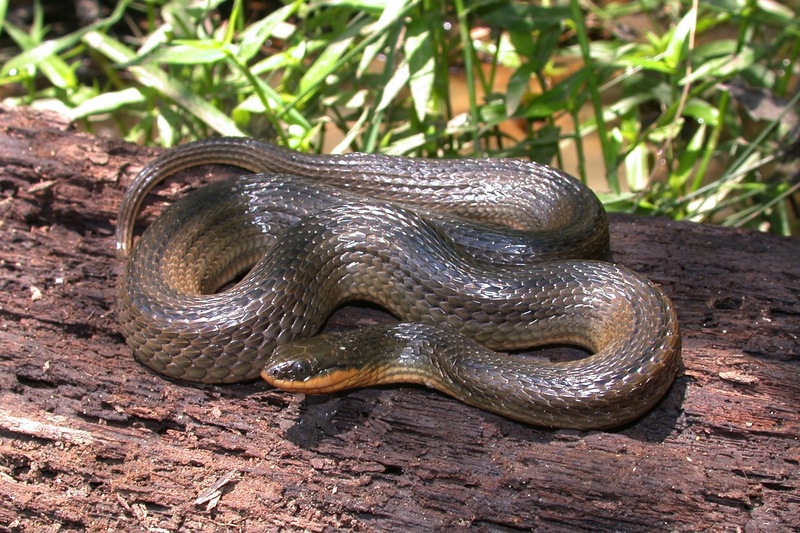 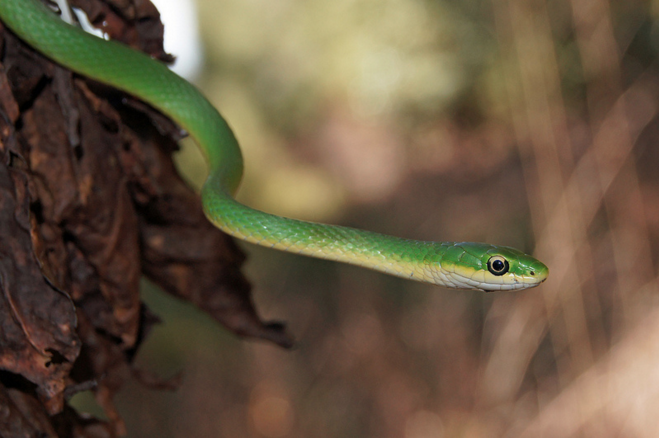 The Colubridae is the largest family of snakes in the world and its members display a wide variety of characteristics. 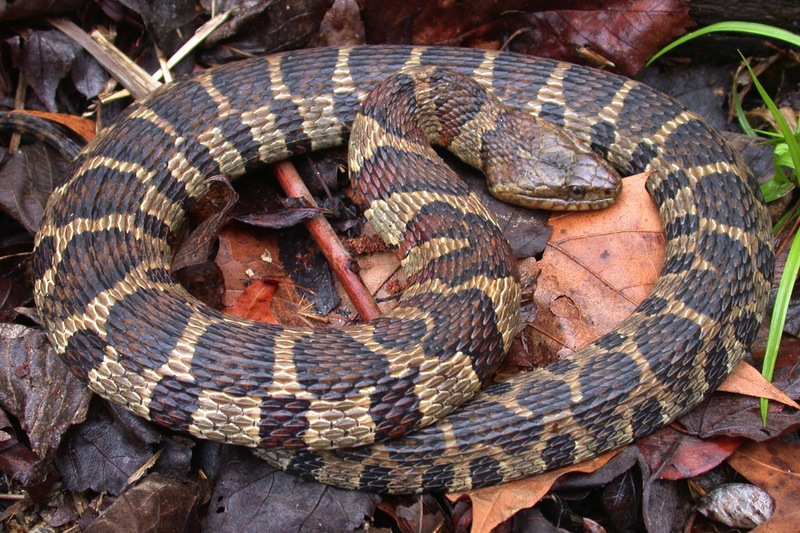 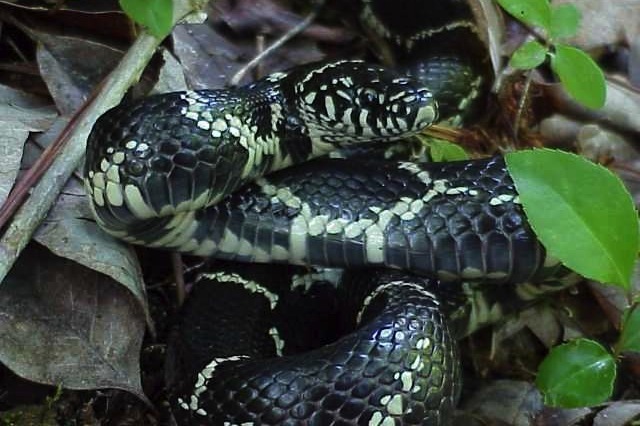 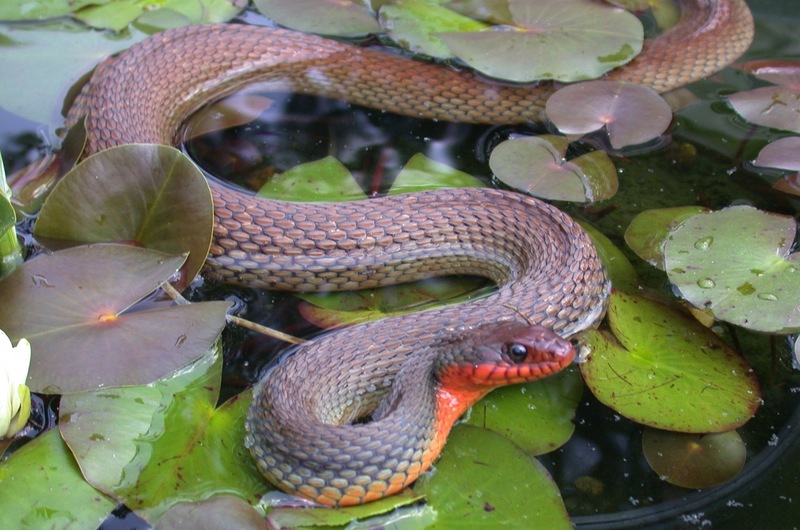 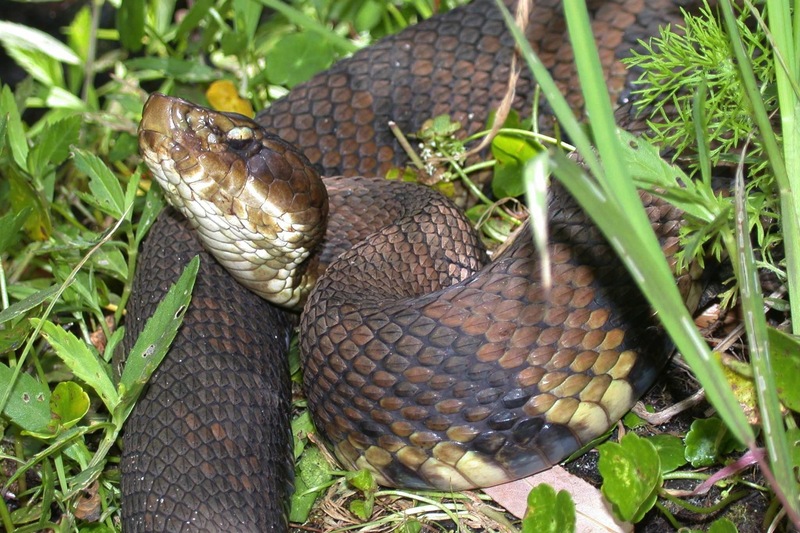 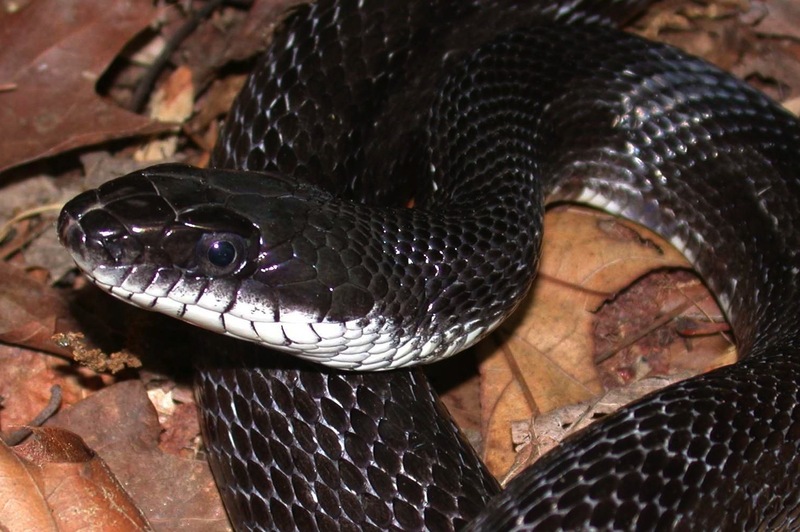 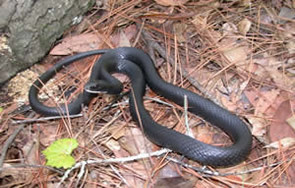 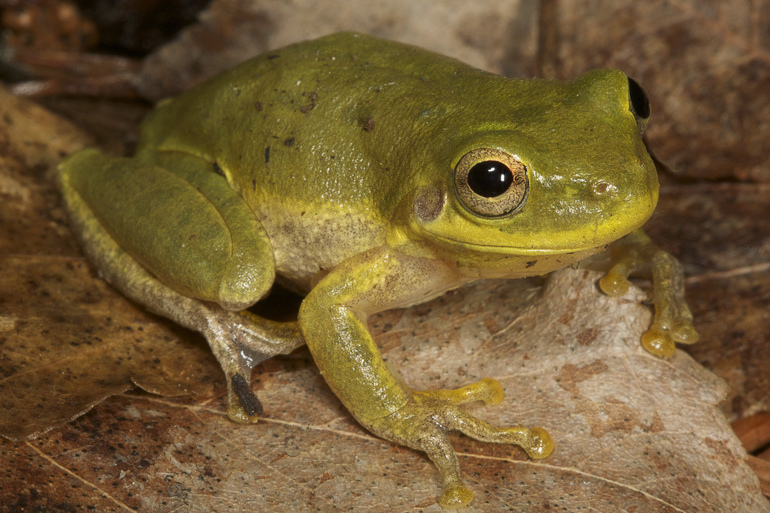 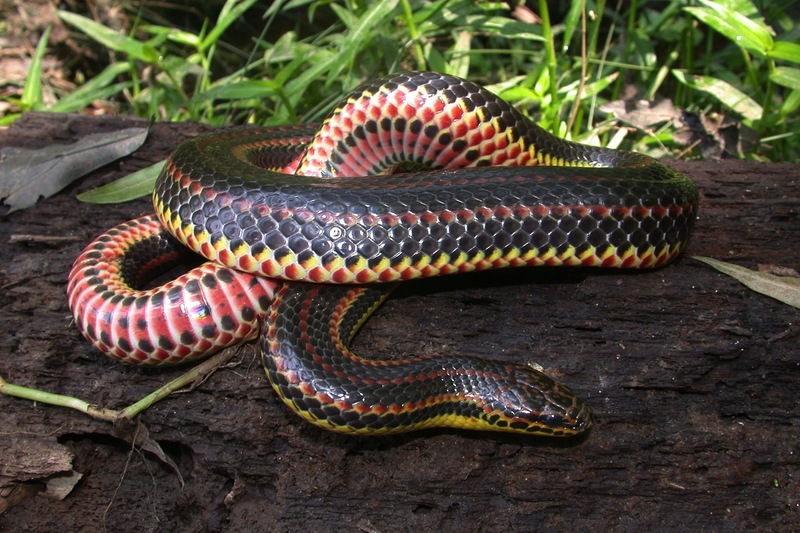 Most colubrids, including all those found in North Carolina, are not dangerous to humans. 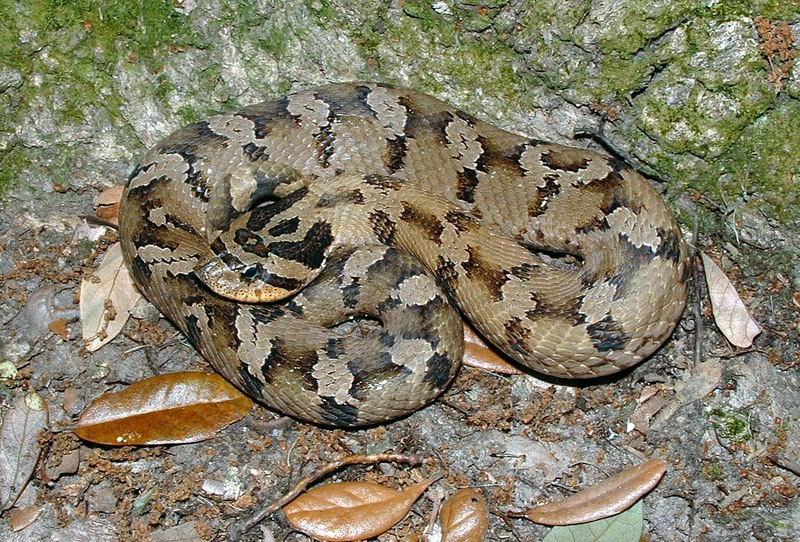 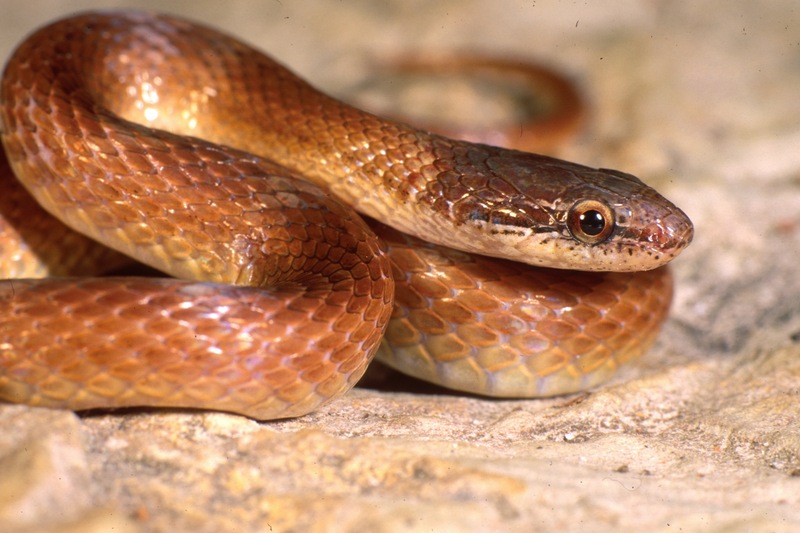 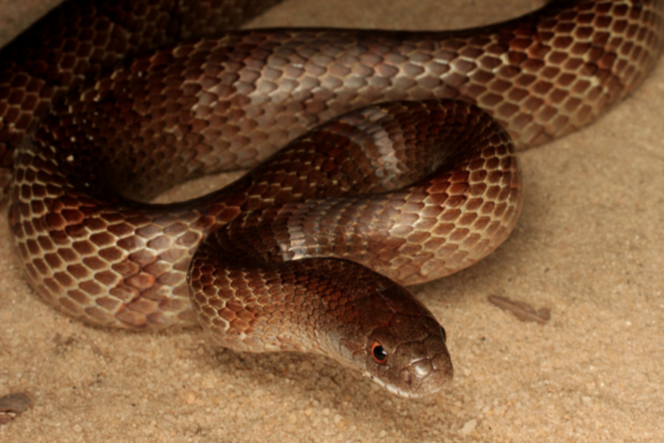 The family Viperidae includes the pit vipers (subfamily Crotalinae). 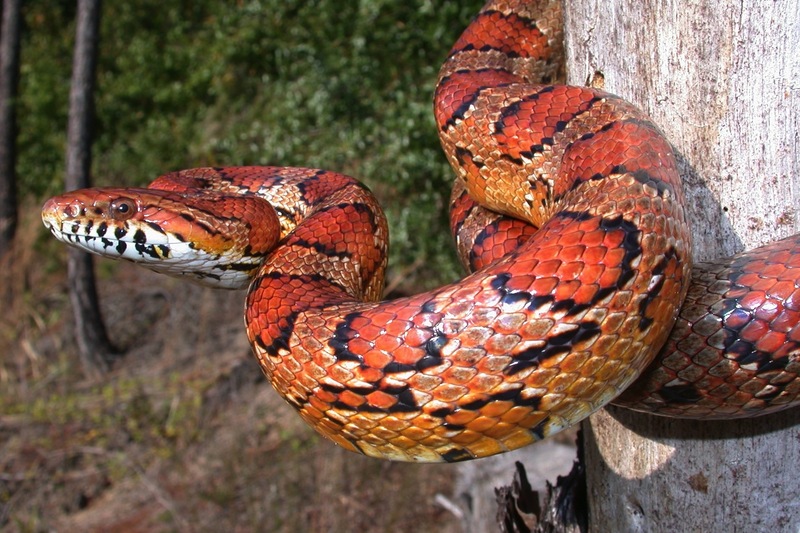 Pit vipers are all viviparous (they give birth to live young), except for the bushmaster, which lives in Central and South America. 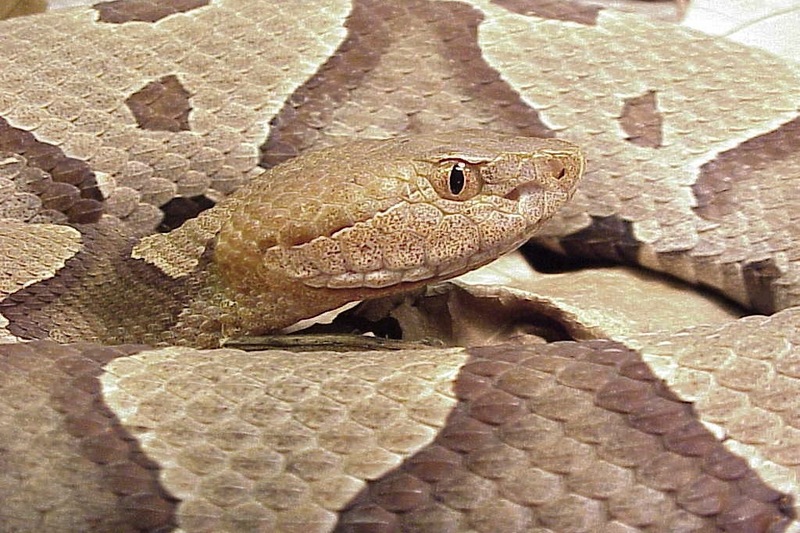 All vipers have long, moveable fangs capable of injecting venom and pit vipers are equipped with heat-sensitive pits between their eye and nostril that aid in hunting warm-blooded (endothermic) prey. 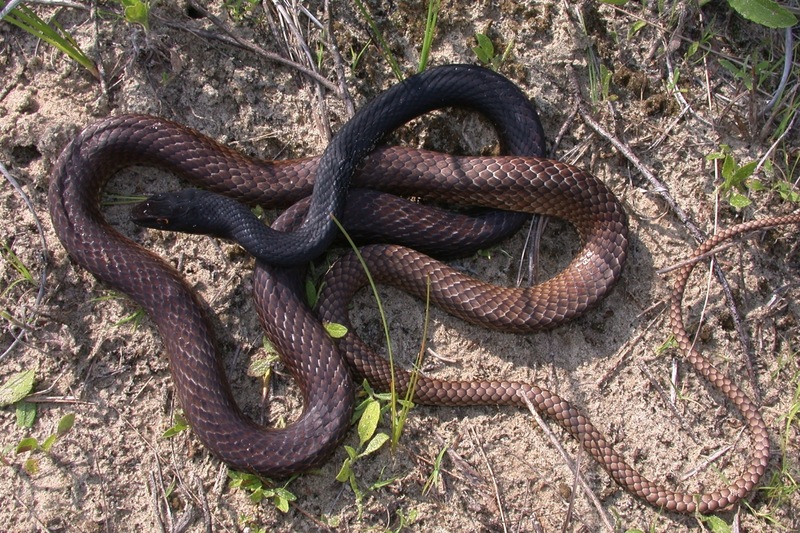 The family Elapidae includes the cobras and mambas. 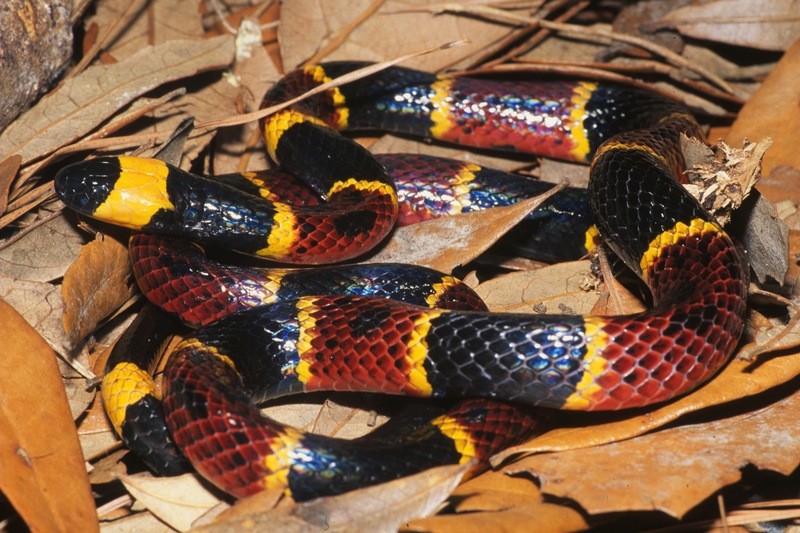 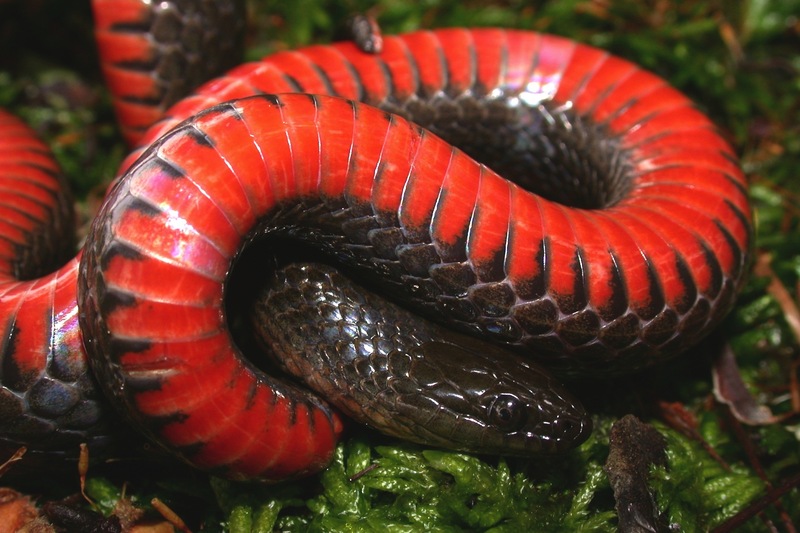 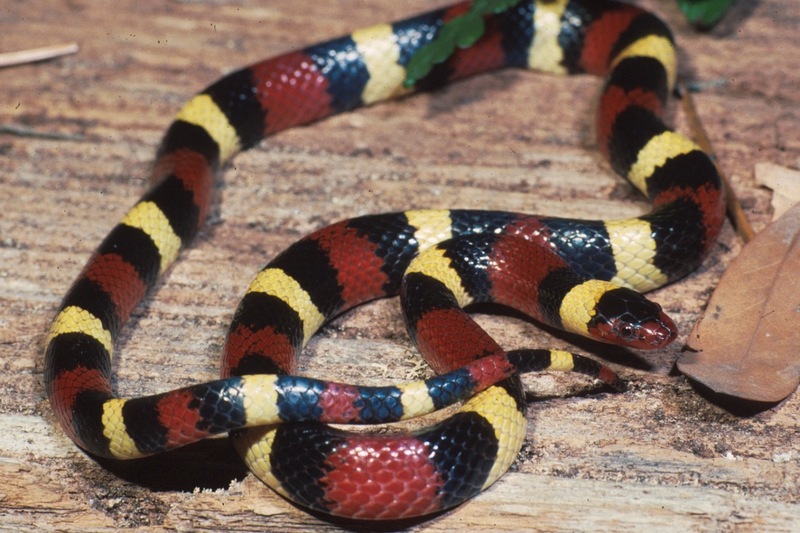 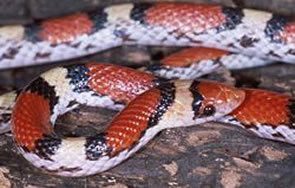 The only member of this group native to North Carolina is the coral snake. 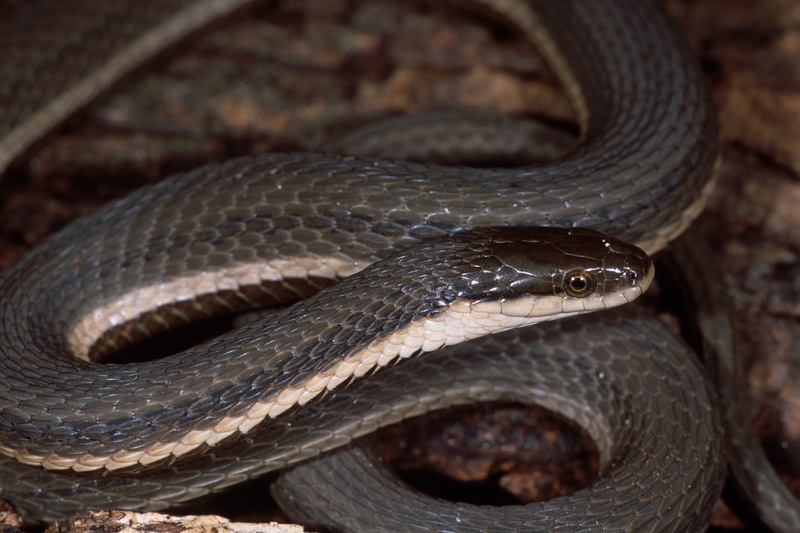 The Elapidae are equipped with short, immoveable fangs and highly toxic venom that attacks the nervous system.